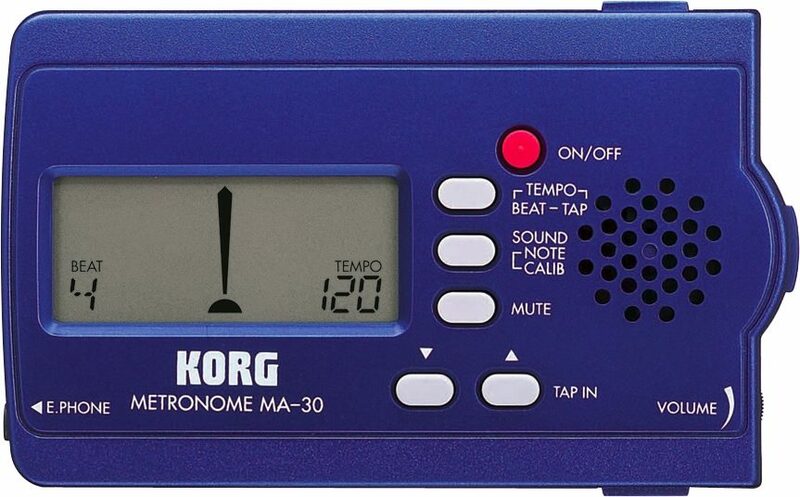 The MA-30 is the latest offering from Korg's innovative line of metronomes, with new features like volume control and sophisticated rhythms such as triplets and quadruplets with inner beats omitted. Dimensions: 4.09(W) x 2.52(D) x 0.59 (H) in. 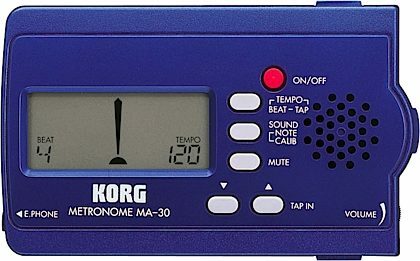 "A lot for the money and Korg quality." Sound: Could be just a tad louder; but after playing for a long time, I'm probably hard of hearing. Feature: Great for keeping the band in time, and for settling arguments over meter with the string-beans. Ease of Use: Easy enough...and there's a pretty good guide that comes with it that is actually English with the proper sentence structure (weird man)! Quality: Hasn't broke yet... Value: Hot price for such a versatile little gidget... small too; maybe 4 x 2-1/2 x 1/2 inch. Manufacturer Support: Haven't needed any support... that's a good thing. The Wow Factor: Yeah... looks O.K. But on stage, you want it to stay under the radar anyway. Overall: Need to even out the sound progression. And wouldn't it be way cool if Korg would provide a little clamp to clip it to a drum lug-bolt? Whoa, I'd buy another one just to get the clamp! Sound: it's real nice easy to use and you can hook a small computer speaker or whatever to the phone jack if you want it louder. Feature: would be nice if it came with earphone. close [x] Select a model from above to add to your cart.